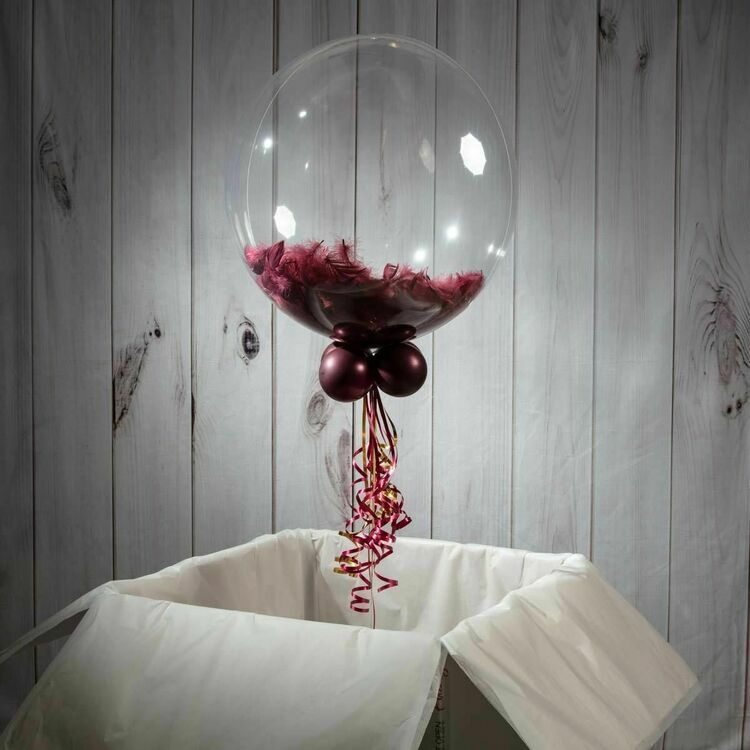 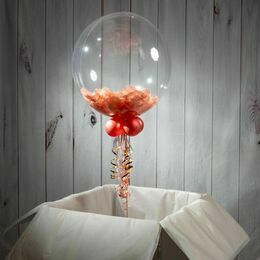 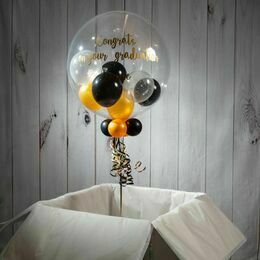 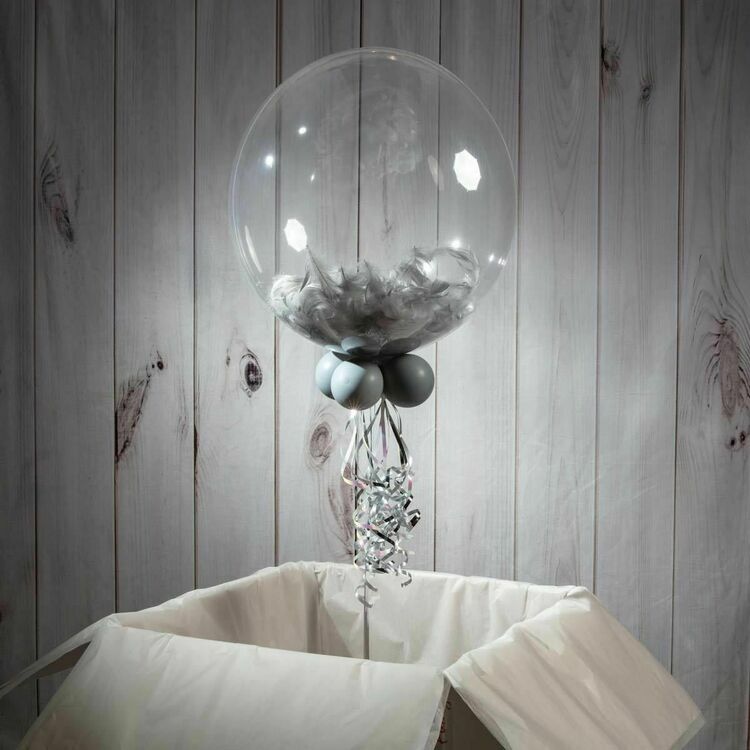 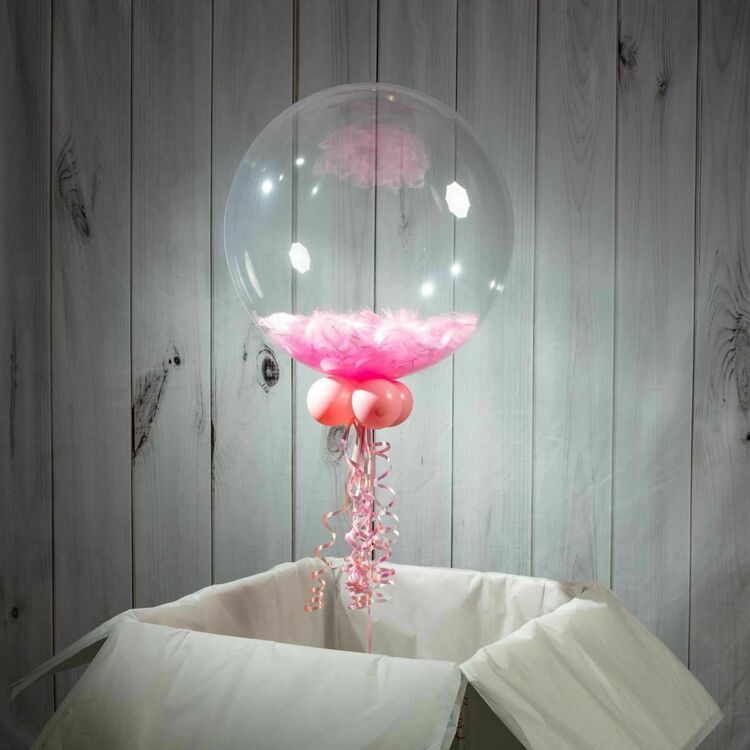 Wish someone 'Congratulations' on their achievements with this lovely bubble balloon, filled with the colour feathers of your choice, and with your own personalised message on the outside. 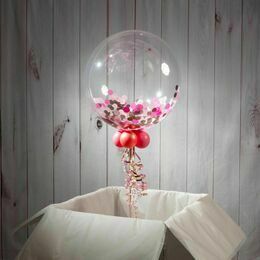 To finish we add four small balloons to the base of the balloon and add colour co-ordinated ribbons and weight. 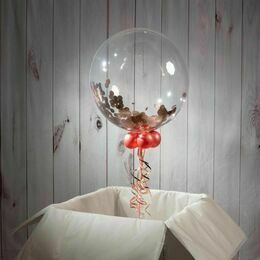 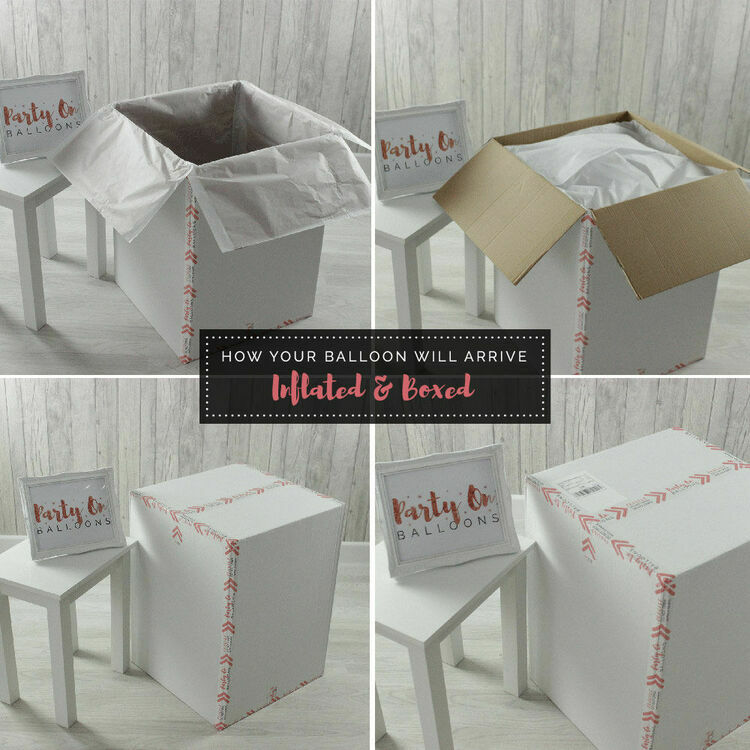 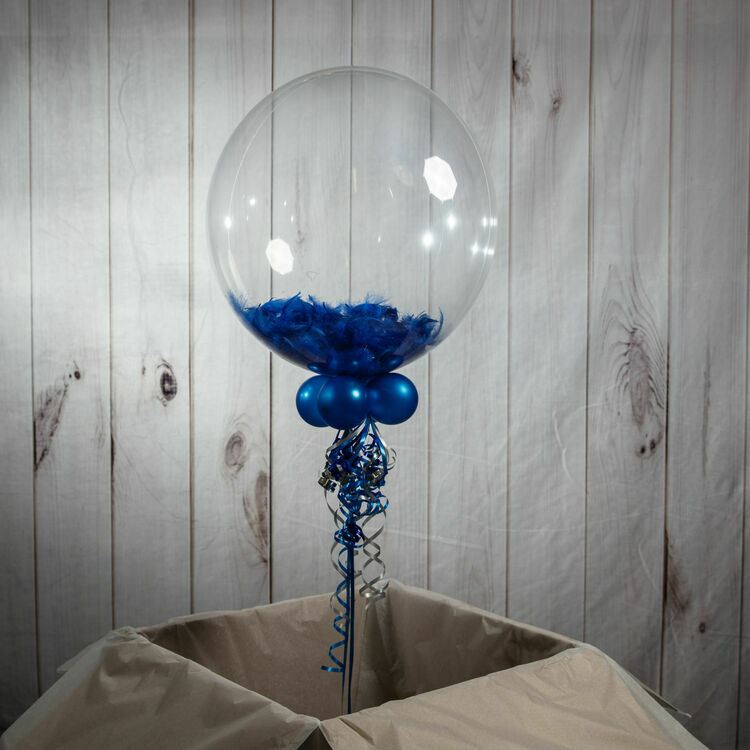 Lasting longer than standard foil balloons, these will last between 2 - 4 weeks.